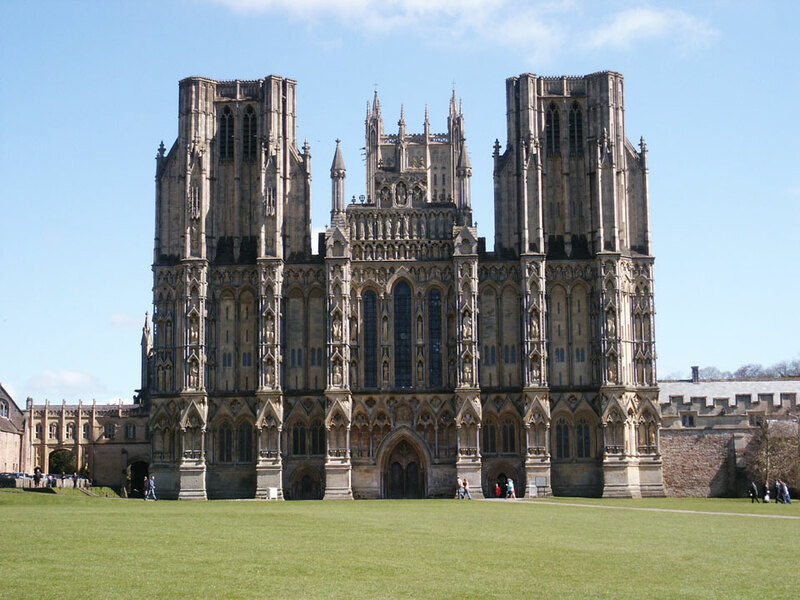 The front of Wells Cathedral. The cathedral was started in the late 1100's. 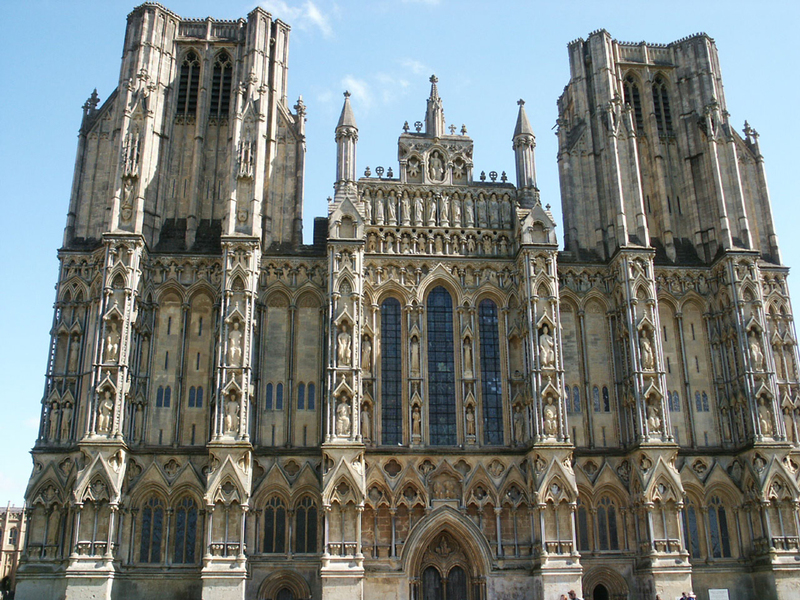 A closer view of the front of Wells Cathedral. 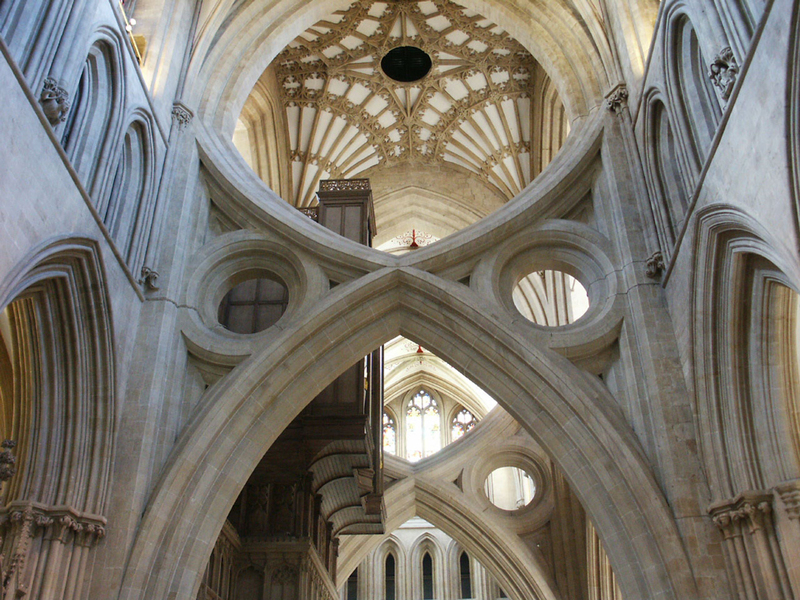 This was the first cathedral to be build in English Gothic style. 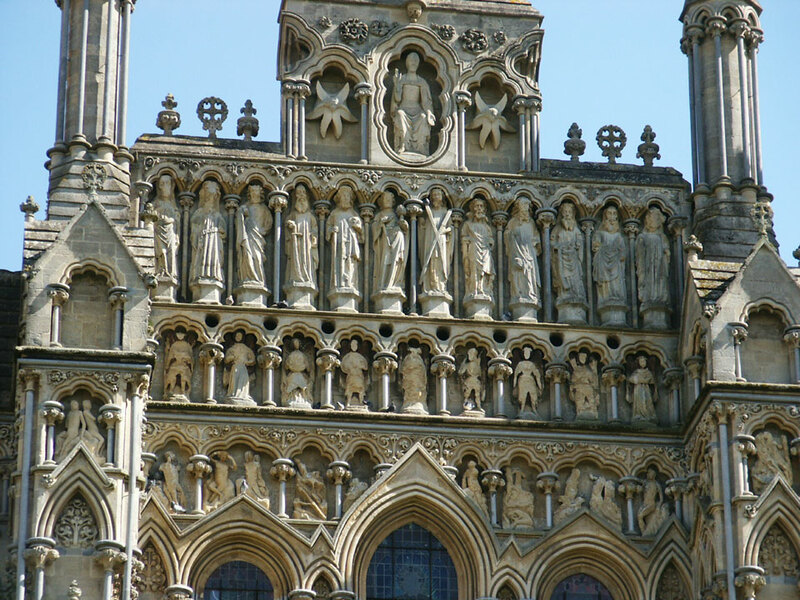 A close up of the statues on the front. This is the nave of the cathedral. The nave dates from 1239. There is a band playing at the moment. In the background is the distinctive wishbone arch. Closer view of the wishbone arches. These were built in the 1300's to support the weight of the central tower. 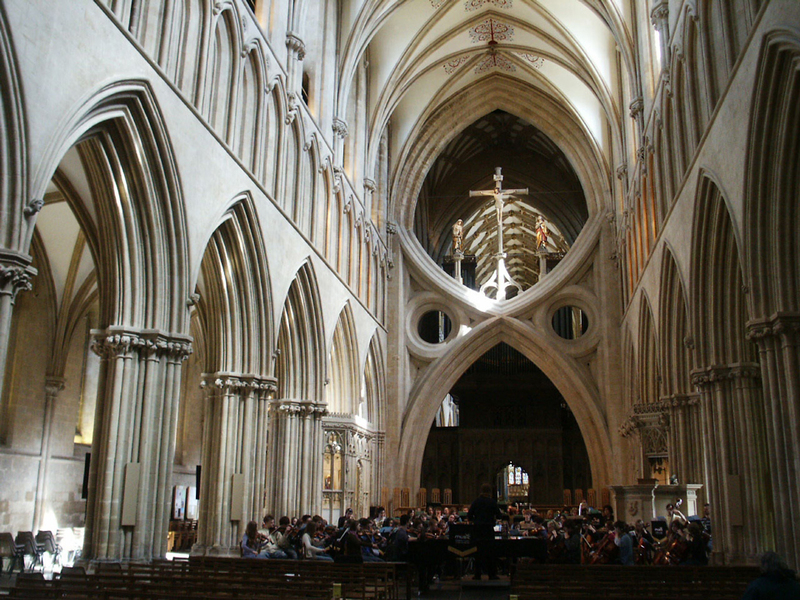 They are the distinguishing features of Wells cathedral. 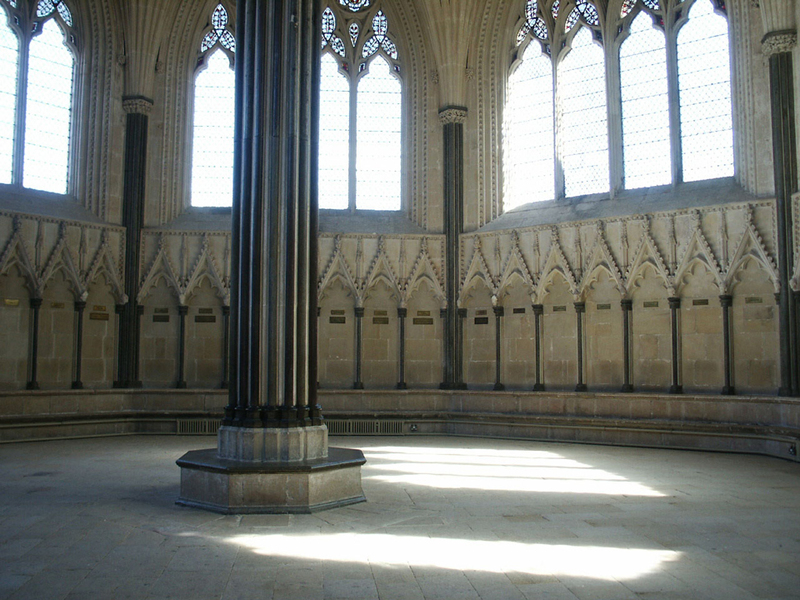 This is the Chapter house, dates from early 14th century. 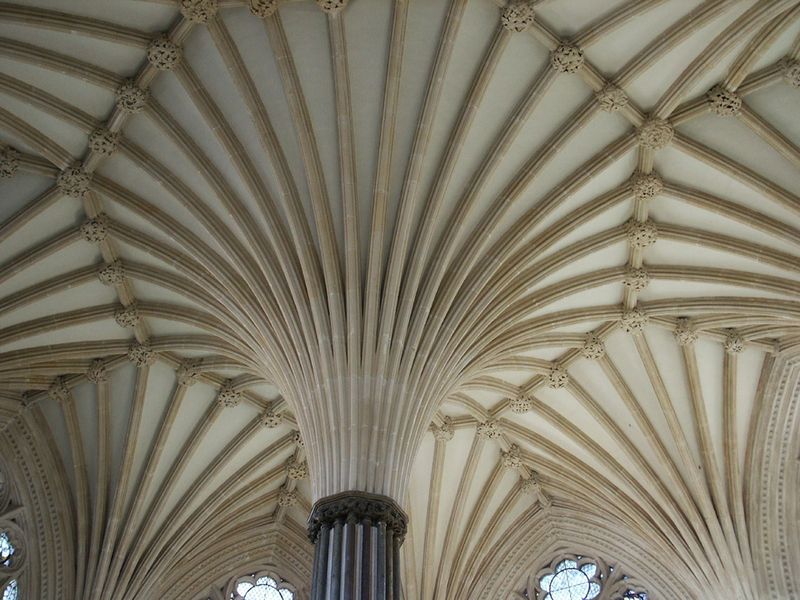 A close up view of the Chapter house ceiling. 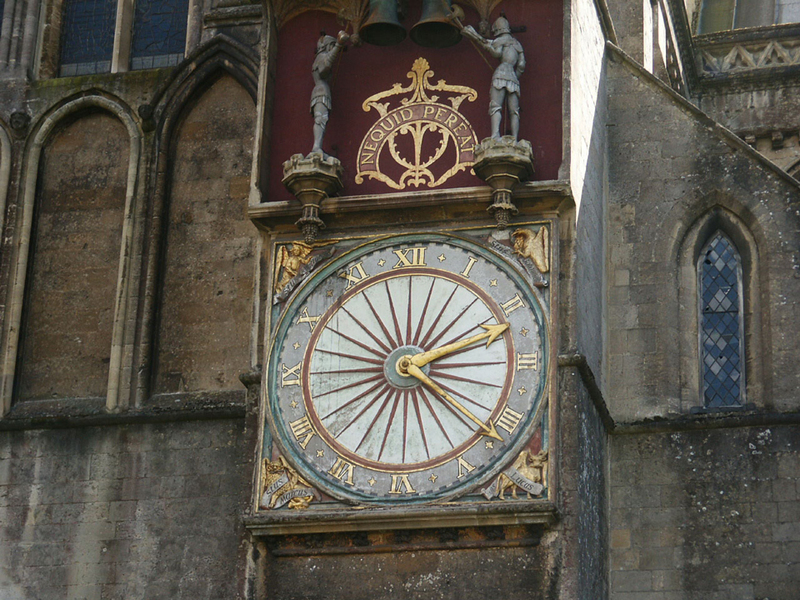 The famous medieval clock. This clock is thought to date from about 1380. It has its original medieval face and depicts a pre-Copernican universe with the earth at its centre ! 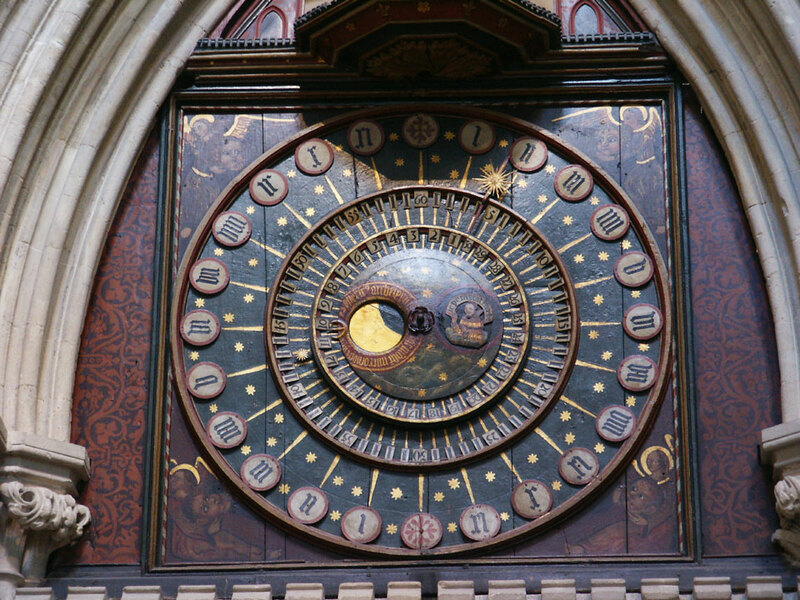 The clock on the outside of the cathedral. This face of the clock is not directly opposite the interior clock but both clock faces are driven by the same mechanism.